My name is Jereka Hunt. I am a wife and mother of two incredible sons, providing services to areas within 90 miles of the Greensboro Triad area (including a few Virginia counties), within 60-90 miles of the Charlotte area and within 30-45 miles of the Raleigh area. I am also the owner of Wombmart Placenta Encapsulation. 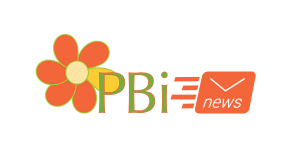 We are a team of PBi-trained specialists. I am a former Environmental Professional with a degree in Environmental Studies from the University of North Carolina at Chapel Hill. I left work in the government sector, ensuring environmental health and water quality, to be with my children full-time and to pursue my own business; doing what I love: Assisting Families With A Quick & Positive Postpartum Recovery. I became fascinated with nature and natural living during my sophomore year of college. Throughout the years, I have come to understand that nothing beats Mother Nature. Her ways and her cures are well established and proven; we only need to take advantage of them. Pregnancy was one of the many avenues through which I discovered Mother Nature's way. I have had two wonderful, natural births, in birthing centers (read about them here) and I came to know about placenta pills through my midwife. I have encapsulated my own placenta and am very pleased with the results of taking the pills. I look forward to spreading the word about the positive benefits of placenta pills throughout the Triad, Charlotte, RTP and worldwide through my website and pages, Wombmart.com, Wombmart (Facebook), Greensboro Placenta Encapsulation (Facebook) and A Peaceful Postpartum (Facebook). **Please visit Wombmart.com for pricing information.